The skies of Death Valley National Park are classified as “gold-tier,” which means you can see the glorious Milky Way, meteor showers, and more. The park earned an International Dark-Sky Association certification, despite its close proximity to the artificial lights of Las Vegas. 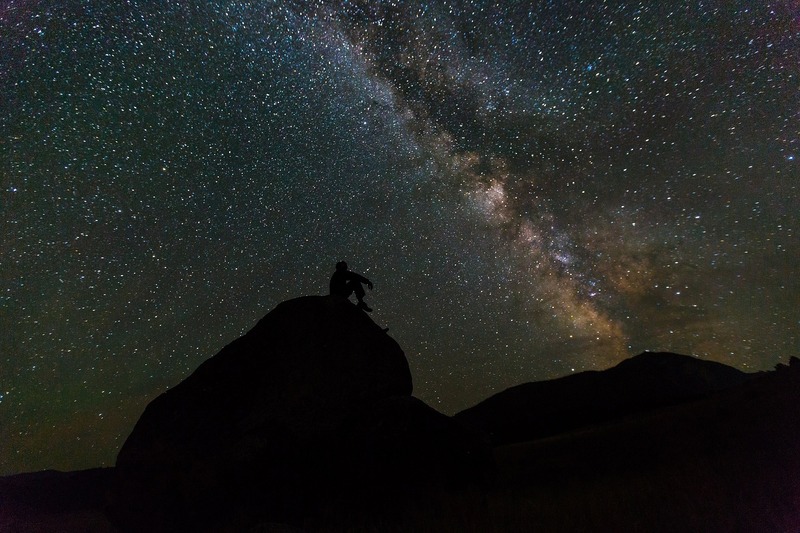 To stargaze, visit the National Park Service’s page on Death Valley’s Lightscape/Night Sky, which offers tips on where and when to go, and what to bring. Popular spots include Harmony Borax Works, which offers views with only limited blockage from the mountains. Experience a romantic night like no other at Pic du Midi, an observatory that hosts tours and events for star-lovers. When you buy a package, you take a cable car up to the summit, where you’re greeted by the Pyrenees mountain range and a gorgeous sunset. While you wait for darkness to descend, enjoy dinner and then you’ll get to see the stars at the Charvin dome, which is equipped with a powerful telescope. When it’s bedtime, you get to stay on the summit and observe the stars with your own eyes. The package is all-inclusive and costs around 400 euros per person, so it could be a once-in-a-lifetime experience. You can visit the observatory during the day for a much lower price, but to see the stars, you’ll have to get the overnight package. One of the tiny islands in a cluster off the coast of Normandy, France, Sark had the honor of being named the world’s first “Dark Sky Island” by the International Dark-Sky Association back in 2011. Cars and street lights are banned, so there’s essentially zero light pollution. You can see a huge range of stars, planets, and more without the aid of telescopes, though the island is also home to an observatory. To get to Sark, you have to take a boat from the neighboring islands of Guernsey or Jersey. In 2011, the Royal Astronomical Society in Canada designated this park a Dark Sky Preserve. Jasper National Park values its dark skies so much it has a Dark Sky Festival in October, which includes rocket launches and telescope workshops. If you prefer to just camp and enjoy the stars alone, there are more than 100 year-round camping sites spread throughout the park. Medicine Lake, a gorgeous glacier lake, is a popular spot located outside of the town of Jasper. You can find the world’s largest dark-sky reserve in New Zealand atop the Mackenzie Basin. The preserve hosts all kinds of stargazing excursions. Book with the Lakeland Explorer tour company, which offers a 2-hour night sky tour, or indulge in the Tekapo Star-Gazing package, which includes the opportunity to check out the constellations through telescopes and ends with an hour of relaxing in a hot pool beneath the star-filled sky. There’s so much we don’t know about stars and outer space. However, scientists have discovered something shocking: there may be water on the moon.